When you are offered a choice between a luxurious sedan and a deluxe SUV, what would you choose? It's a tough choice isn't it? SelectDFW is here to help you decide. 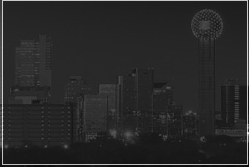 Presenting to you DFW SUV Transfer, a remarkable hired SUV chauffeuring service in Dallas! Would you like to come on board? A luxury SUV is the perfect choice and your perfect travel partner when 3 - 6 passengers need to be transferred. Imagine the comfort and the luxury you and your companions can avail of in a deluxe SUV from Dallas SUV Service! There is ample of space for your fellow passengers to feel comfortable and have fun and there is also enough room for your luggage. But, who says you cannot have our luxurious SUVs all to yourself? Whenever you want to feel a level higher above the rest, hiring one of our SUVs from DFW SUV Transfer is the perfect setting. And did you know that Dallas Airport Transportation is best known for its unbelievable and attractive rates? Yes, our professional level of service touches the skies, but we prefer to keep our prices down to earth to ensure that you feel peace of mind while travelling with DFW SUV Transfer. Welcome on board!